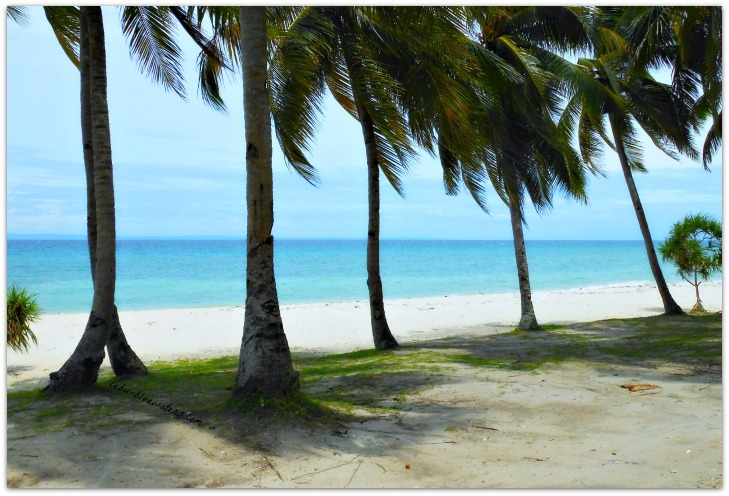 Bakhaw Beach Resort is a white sand open resort, secluded, and serene abode for those who seek peaceful and rustic area to recover. 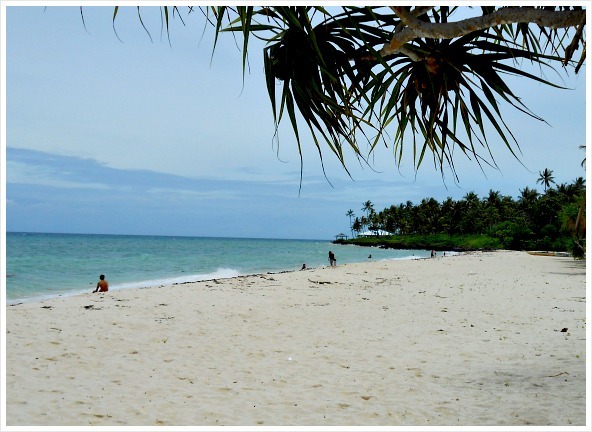 Then you’ll reach a long stretch of white sand that divide the clear blue waters and the island lined up with coconut palm trees. As of this writing, there are no huge resort facilities commercial structures around that tempts you shop and spend money with. 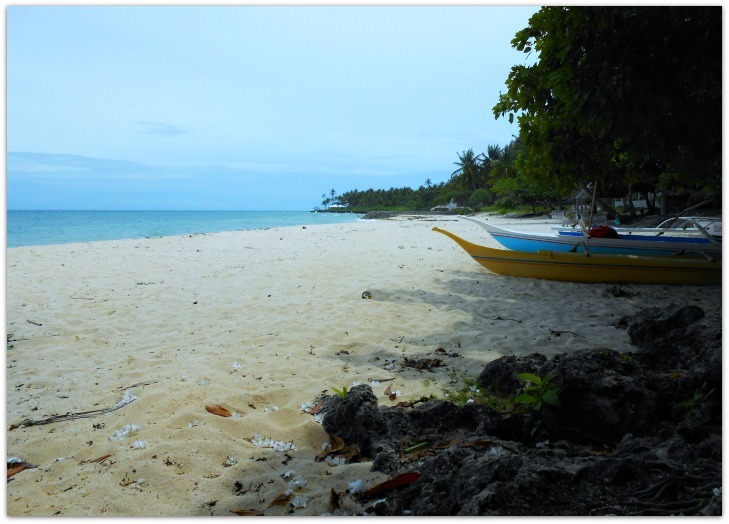 It is an almost undeveloped, unspoiled and non-commercialized secluded beach in Camotes Islands, Cebu Province. 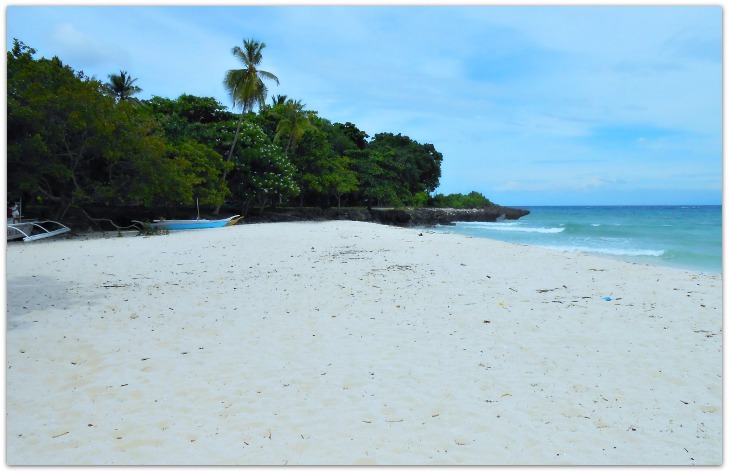 Although the beach resort is secluded and a bit far from "civilization" (in quotation marks), you can avail some basic facilities that could provide you enough to enjoy and get rejuvenated from a stressful daily life. There are some small houses and structures nearby but not many to spoil the view of the beach and the sea. The only closest resort with a concrete structure available for rent is the Borromeo Beach Resort. Another accommodation for rent is the Keshe Resort. traditional open nipa hut cottages - These are available for day-rent for a very reasonable rate. Small sari-sari store - I found one since it is very visible and you can't miss it. They sell the basic necessities, such as canned goods, drinks (alcoholic, non-alcoholic and soft drinks), biscuits, cigarettes, candies, and anything you need for emergencies in small scales. Bangkas - There are lots of small boats (for rent for cheaper and reasonable rate), paddle boats that you can rent for a day or hours. I believe you can also hire an operator or pilot if you wish to. I saw a couple of motorized boats which are probably available for longer and distant trips, such as island trips and tours. Floats or "salbabida" - These are floats made from the black rubber tubes of any vehicle's tire. Usually, the Jeepney and other car's tubes are ideal due to their size. Karaoke - There is a karaoke available for rent, most probably per hour basis. It is located close to the small store. You can sit around using the long benches while enjoying sing-song session and some drinks. Certainly, there are some other facilities and basic services available in and surrounding the beach resort area. Getting to Bakhaw Beach Resort is not really that hard to do. Just simply follow the guides available right on this page and website. Address: Barangay Esperanza, San Francisco, Camotes Islands, Cebu Province. It is about 35 minutes by motorcycle ride from Consuelo Port. We rented a tricycle (motorbike with a sidecar) that day and so we came to this place with that vehicle. There are mini-vans or jeepneys that can be hired if you come in bigger groups. Better yet, you can bring your own vehicle if you want to. Ferries from other islands that do business in Camotes Islands will take care of your private vehicle. For a more complete guide on getting to the island, you may use our guide page for important and helpful details. 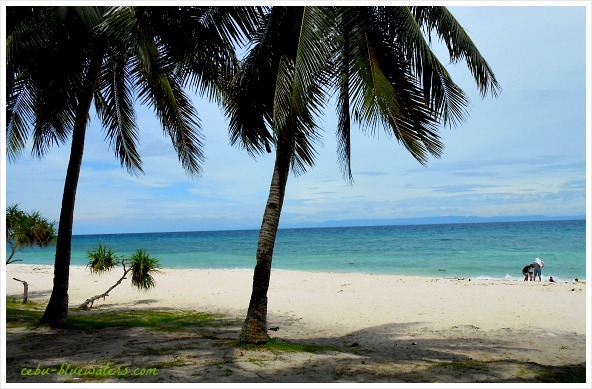 Click Getting to Camotes Islands page to see the guide on how to get there, especially from Cebu City. The page includes details of possible transports from Cebu area that will bring you to the ports where you can get a ferry, ships or boats for Camotes Island. Schedules of ferry departure and fare rates are also described in that page. See if it helps! If you really want to search further, you can try and search the links below. Just click each one if available. Please, enjoy this secluded beach resort.